Pop on your favorite sunglasses and pour yourself an island cocktail! 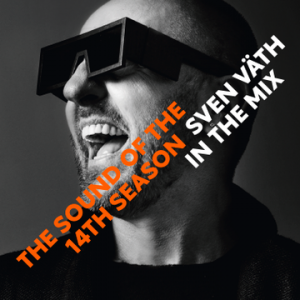 Cocoon Papa Sven Väth has officially danced his way through his fourteenth Ibiza summer, and to commemorate the occasion he has compiled a 2-disc, 24-track mix: The Sound Of The 14th Season. This, like the 13 editions before it, proves to be a snapshot of the season’s top sounds. Hypnotic tracks from Cocoon regulars like Daniel Stefanik and Henrik Schwarz are complemented by cuts from several of this year’s Cocoon Ibiza party selectors like Roman Flugel and Ricardo Villalobos. The first 18 tracks of the mix are mostly deep and acid-y, but after that things get dark and heavy, ending on a high note with Len Faki & Johannes Heil’s rollicking track “The Octopuss,” known to be a Väth secret weapon. The mix makes for an overall fun and easy listen although there’s no question its energy level fluctuates. But if you’re feeling depressed by the onset of the winter, look no further than this compilation to shake your cold-weather blues and transport you back to the dance floors of the summer. You can pick up a copy of The Sound Of The 14th Season via Cocoon’s digital and physical outlets starting Friday the 22nd. Preview both discs right here then catch the main man of Cocoon on tour through December!